Taxco, Mexico is renowned for its magnificent colonial architecture, narrow cobbled streets and for being the hometown of jewelry designer, Daniel Espinosa. Since launching his company in 1989, Espinosa has attained star status in Latin America and become the most celebrated Latino jewelry designer in the world. His jewelry design empire employs 350 artisans who produce more than 10,000 pieces a month. Super-trendy Daniel Espinosa boutiques are popping up everywhere from Puerto Vallarta to Europe, Asia and Canada. 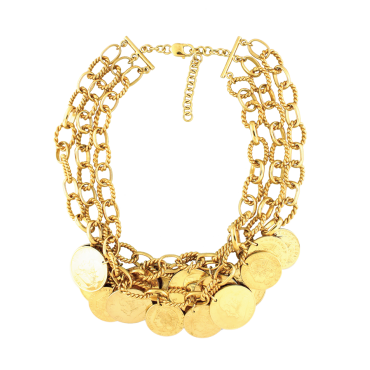 Espinosa is considered an avant-garde rebel, his jewelry collected by celebrity fashionistas such as Susan Sarandon, Madonna, Halle Berry, Daisy Fuentes, Eva Longorin, Nelly Furtado, Hilary Duff and a bevy of admirers from all walks of life. Daniel Espinosa's jewelry is bold, daring and often controversial. It goes where conformists and traditionalists dare not go. His creative genius is a rich tapestry woven from his life experience and embellished with a child-like curiosity that never died. His designs exude his passion for life and fashion. He studied art in Florence, fashion design in Holland, international marketing in New York and jewelry design at the Gemological Institute of America. His seductive jewelry designs are a masterful blend of Mexican silver and random, eclectic elements that dazzle and delight the eye. Each piece tells a story, vividly depicted in retro tiger’s eye, multi-faceted cubic zirconia, recycled glass from a 1950s TV screen he discovered in the Philippines, industrial-grade cork and precious gemstones. Each piece is thoughtfully selected by Espinosa himself and anchored by gobs of luscious silver. Sleek, sculptured sterling silver necklaces, rings, earrings, bracelets and brooches dance across the pages of his virtual art show at www.danielespinosa.com Daniel Espinosa creates several exciting collections every year. An exuberant mix-and-match appeal resonates throughout. “Vanilla” is geometric perfection; chunky silver cubes, oblongs and discs—some smooth, some hammered—fashioned into chokers, bracelets, earrings and rings. "Excess," both profuse and romantic, features silver teardrops inset with a kaleidoscope of sparkling gemstones. Heart pendants inset with multi-colored crystals. Lofty rings and chunky silver chokers round out the glam theme. "Saint-Tropez" celebrates classic style; silver and gemstone cubes delicately strung on long, lush necklaces with earrings to match. "Crepusculo," defined by its striking black and gold symmetry, features textured leather and dangling hearts. Strong and elegant, the spirited "Day & Night" is distinguished by a sea of shiny silver balls bobbing from black leather cords. Daniel Espinosa finds inspiration for his designs in his hometown of Taxco, a gleaming vista of white marble sizzling under the Mexican sun. His creativity is stimulated by the colorful Galliano parade and the great spectacle of Guelaguetza in nearby Oaxaca. Twice a year, Espinosa and his staff retreat into their own private world for two or three weeks to design the collections. Espinosa's dedication to the design process, attention to detail, passion for his art and business acumen have made him one of the most successful jewelry designers of today.